On Sunday, my sister gave me a box of chocolates. Don't you think it cool?! 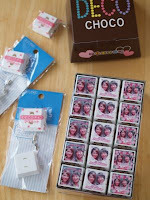 Our picture is printed on each piece! 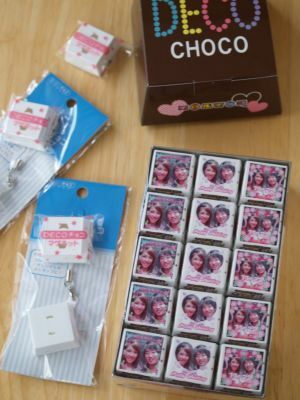 After you ate them, you can re-use the chocolate wrappers for your original cell-phone charms or magnets! On Saturday evening, after 3 weeks, we finally went on a restaurant wedding tour in Daikanyama. 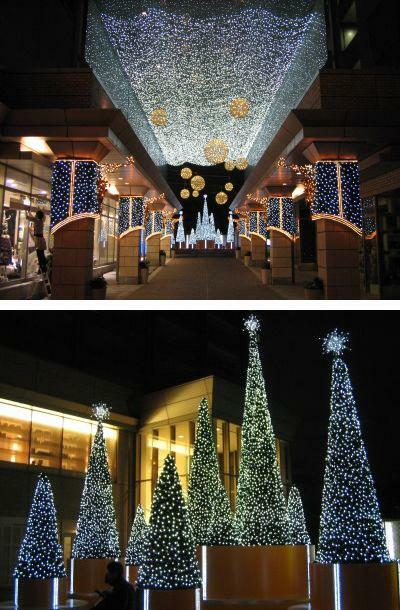 The shopping mall near the restaurant was illuminated romantically! I will write about the restaurant tomorrow if I get a chance! It's getting cold, so my boyfriend was sneezing all day long yesterday. I hope he didn't catch a cold. Wash your hands and gargle frequently!! !